WHAT IS FOREST OPERATIONS, BIOPRODUCTS & BIOENERGY ? To meet society’s increasing need for sustainable resources, efficient and environmentally acceptable options are needed for the management, harvesting, and transportation of timber and biomass for energy production and for manufacture of products, e.g. lumber, paper, and wood composites. 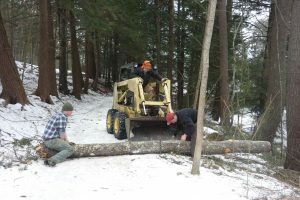 The interdisciplinary Bachelor of Science in Forest Operations, Bioproducts and Bioenergy (FBB) at the University of Maine addresses this challenge by providing students with a relevant combination of course work, hands on experiences, faculty expertise and mentoring within the context of building teamwork and communications skills. The program aims to develop individuals (a) with the knowledge and abilities to better manage timber resources and forest operations in an environment of increasing public scrutiny and environmental concern; (b) with an understanding of the processes and challenges related to the efficient and environmentally acceptable harvest and conversion of forest resources to bioproducts and bioenergy; and (c) with an appreciation for the business principles and the associated local, regional, and global markets. Our educational goal is to produce professionals with strong abilities to assess and communicate the technical foundations and life-cycle impacts associated with how forest-based materials can be sustainably produced for a variety of applications ranging from traditional wood products to emerging bioproducts and bioenergy systems. 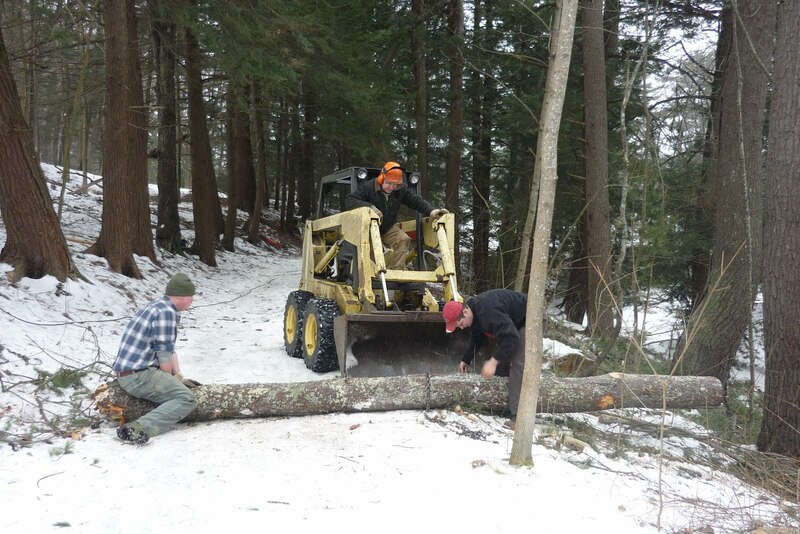 The Forest Operations, Bioproducts & Bioenergy program is accredited by the Society of American Foresters and by the Society for Wood Science and Technology. 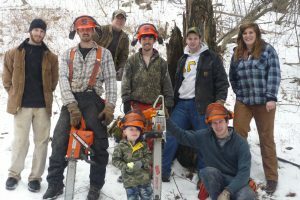 WHAT CAN I DO WITH A DEGREE IN FOREST OPERATIONS, BIOPRODUCTS, AND BIOENERGY? We prepare our graduates for careers in industrial and consulting forestry, and in the administration and supervision of wood processing facilities. Specific career areas include forest land management, forest road planning and design, harvest planning and administration, management of forest bioproducts and bioenergy plant operations, technical sales and marketing. Opportunities also exist for graduate education at the master’s and doctoral levels in the areas of forest operations, wood science and forest management. • Located in the vast North woods – Maine has more forests than the rest of New England combined, and Orono sits on the edge of vast and varied forestlands. This provides students with unparalleled opportunities for research and field experience. • Hands-on experience early in your program – The program takes advantage of the University’s 1,270-acre Dwight B. Demeritt Forest is adjacent to campus. In addition, the nearby Penobscot Experimental Forest and other properties owned and managed by the university provide nearly 15,000 acres of living laboratories for forest resource education and research. Nearby, large areas of public and private, industrial and nonindustrial woodland provide more opportunities. UMaine’s School of Forest Resources faculty are known as a source of objective scientific information. They have an international reputation for cutting-edge research innovation, and they are committed to educating the next generation of leaders on forest resource issues. In a typical year, our faculty receive $5 million in research grants and publish 40 papers in refereed journals. They also provide leadership regionally and nationally to professional organizations. Undergraduates in Forest Operations, Biomaterials, and Bioenergy have an opportunity to study, interact, and often conduct research and fieldwork with graduate students from around the world. Students work closely with active faculty researchers who explore and extend the latest knowledge in forest science. Alumni have donated over $16 million in more than 60 named scholarship funds and faculty endowments. Students are encouraged to join the UMaine chapter of the Society of American Foresters and the Woodsmen’s Team. They also have opportunities to attend conferences and meetings of the Society of American Foresters. Special recognition includes the university chapter of the national Forest Resource honor society Xi Sigma Pi. Summer work and internships are readily available for students. The professional experience and contacts gained through summer activities provide a real advantage when our graduates apply for jobs. An annual forest resources job fair also provides students an opportunity to find internships and jobs. 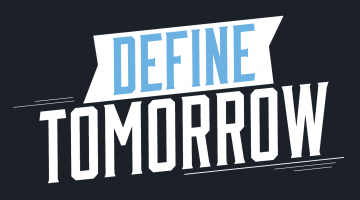 Visit go.umaine.edu for an application, as well as information about academics and life at UMaine.